A Charlottesville Attacker Says He “Isn’t Racist Because He’s Puerto Rican” I have news for you: you can be racist and privileged even if you’re Latinx. A Charlottesville Attacker Says He “Isn’t Racist Because He’s Puerto Rican” Last week I saw this headline on the news. The situation at Charlottesville was upsetting enough on its own but reading that headline took my disbelief to a new level. I have news for you: you can be racist and privileged even if you’re Latinx. Colorism is a real issue within people of color, including the Latin community. It is defined as discrimination based purely on the social values associated with skin color and it is a divisive issue that drives wedges within and between races. As a Mexican who has fair skin I can say I have experienced first-hand the privilege and benefits from looking “white” both in the US and in Mexico. However, one of the biggest problems is that when we are privileged (white, straight, able-bodied, class-privileged, cisgender male or any combination of two or more of those), it can lead us to be oblivious to the experiences of others (women, POC, gay, religious, non-religious). To be completely honest I did not acknowledge my own privilege until I moved to the United States. When I first arrived here 6 years ago people back home would ask me about my experience with racism in America and I remember thinking to myself “It’s not that bad, I haven’t had any problems.” And well, here’s the thing. As long as people didn’t hear me talk or learn my last name I could pass for a white American girl, which as hard as it was to admit, made me feel safe. Yet every so often when I meet new people, whether during an Uber ride, new job, networking events, or friend reunions I’m asked an apparent harmless question that becomes the gateway to casual racism: “Where are you from?” they ask me. I know what they mean. They’ve heard my accent. In a subtle effort to deviate their attention from the foreignness they seek to pinpoint, I reply: “I live in Chicago” They give me a curious look and follow-up with: “No, but where are you REALLY from?” When I say I from Mexico I’ve gotten mixed reactions. Sometimes disappointment, sometimes interest but most of the times it’s disbelief. “No way! You can’t be! You don’t look Mexican!” they often respond with marvel. Their tone usually implies it’s meant to be a compliment, as though I should be proud not to have the common features or skin tone that come with “looking Mexican.” I’ve never been ashamed of where I’m from, but people don’t understand that asking a question like this has so many implications. It is a dangerous zone because the conversation can go from “I took Spanish in High School I know how to say…” or “Oh I love Mexico, I’ve been in Cancun/Tijuana” to a judgmental and racist direction. I used to be amused by their culture shock at the beginning but the more and more I had this kind of interactions I felt the need to explain how offensive those comments can be. As much as it angers me when experiencing this, I will admit these kinds of stereotypical comments, among a few other occasional racial comments are the worst experiences I’ve had with racism. And I am lucky privileged for that. It does not compare to the discrimination and restriction to resources Latinos with darker skin or indigenous features get. While white Latins still experience discrimination at a certain degree from anglo-whites we have been able to pass as honorary whites and benefit from the inequalities formed by white supremacy. This is not new, and it has a history. In fact, the basic social and economic tenets of Colonial Latin America were based on race. During the conquest and colonization of Mexico, and Latin America as a whole, the Spanish adopted a detailed and complex racial caste system which informed one’s socioeconomic status in society, with the top of the hierarchy being Criollos, who were white (from Spain) and then the different combinations trickled down the ladder. These racial differences and statuses are so engrained in our culture that sometimes we are guilty of offending and discriminating against other minorities and our own. The Charlottesville riot is not the first time Latinos have appear on news headlines for our racism. The shooting of unarmed African-American teenager Trayvon Martin by a half-Peruvian and half-White man named George Zimmerman and racist comments against Michelle Obama by Latinos in the media like Rodner Figueroa are examples of this. I am not trying to say that Latinos with fair skin or who are in a more privileged position are bad. But I do want to point out that for some of us it is easier to have our voice be heard. When we have access to resources, we have power and we can use that to fight oppression. We need the full spectrum of Latinos to be represented in the workforce, in TV, movies, media and most importantly politics. From state and local officials to Congress, most Latino politicians representing our community are light-skinned or straight-up white-passing. How can the Latin community be fairly represented when most Latin people on leadership positions have hardly experienced lack of diversity and discrimination? Just take a look at the Latino politicos getting the most media attention right now, Republicans Ted Cruz and Marco Rubio. Sure they can represent us, as long as they acknowledge and most importantly share and relinquish some of that privilege. Writing this blog was tougher for me than I thought because I realized that acknowledging my own privilege is not enough anymore. I need to give it up. We, minorities that have more power, need to use our privilege to fight racism. It is important to realize that just because we don’t experience discrimination as other people do, it doesn’t mean that it doesn’t exist. We as Latinos can be our own worst enemy when it comes to racism. Just because we’re within a minority doesn’t give us a free pass to be offensive to others and specially not within our own community. No matter who you are and with whom you identify, racism affects us all, and for some, it can lead to tragic consequences. Privilege can blind us. But once we open our minds and see beyond our own bubble, we are able to see when others are being mistreated. However big or small the offence may be, not everyone has the opportunity privilege to dismiss or suppress those obstacles. Regardless of how much privilege we have, if we have more power than someone else then it is our job to speak up in the face of injustice. It is our job to give voice to others when it’s not our place to comment on someone else’s experience. It is our job to demand our workplace, school and other structured environments to ensure inclusion and equity at every level. There are other people outside our own experience. It is our job to acknowledge them. It is our job to empower them. It is our job to respect them. 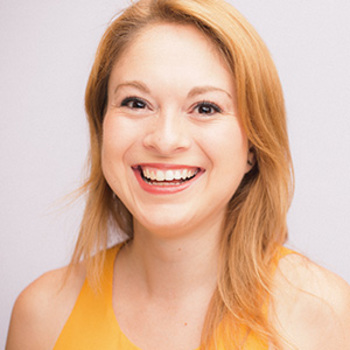 Julie Ramirez is the creative marketing manager at Catharsis Productions. She holds a BA in Entertainment and Media Management with a concentration in live performances from Columbia College Chicago.